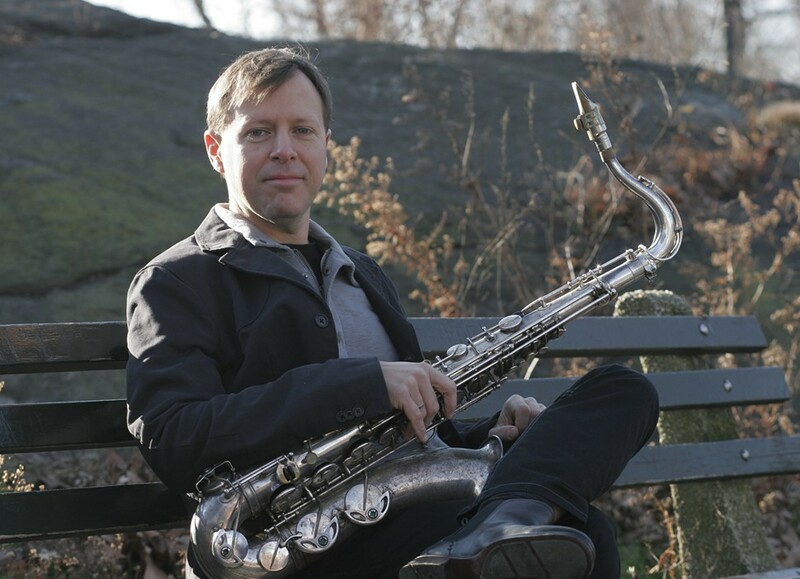 For nearly two decades Chris Potter has been one of the most dominant, technically dazzling reedists in jazz, a stylistically curious powerhouse whose easy adaptability and range have made him a favorite of bandleaders from Dave Holland to the late Paul Motian. As a bandleader he's excelled with both rigorous postbop and the texture-heavy, groove-oriented approach of his band Underground—no wonder music students flock to his concerts in droves. Yet as much as I've admired his skill and power, Potter's music has often left me feeling indifferent. It wouldn't be fair to say he's just a technical wizard with no soul, because I can feel him pouring himself into his playing, and his various experiments over the years have felt like sincere manifestations of his curiosity. The Sirens, Potter's stunning debut for the prestigious ECM imprint—he's turned up on the label often as a sideman—might be the record that turns around my opinion. It finds him returning to an acoustic sound, but using his top-flight band in new ways. It's clear that he's been inspired by the free-time playing of the current quartet led by fellow saxophonist Wayne Shorter, who play with rhythm like taffy, stretching and compressing, shrinking and distending in spontaneous fits. Shorter and his band have their own strong new album, Without a Net (Blue Note), arriving in stores on Tuesday. Still, Potter's unit has its own sound. The reedist found excellent help to achieve the task: drummer Eric Harland, bassist Larry Grenadier, pianist Craig Taborn (a holdover from the Underground band), and the upstart Cuban keyboardist David Virelles (whose stunning Continuum was my favorite album of 2012), who primarily serves a coloring role, filling in the soundscape on certain tracks with prepared piano, harmonium, and celesta. The leader composed the music for the new album in a concentrated two-week burst, using Homer's Odyssey as his inspiration: the titles for all nine tracks are borrowed from the work. Potter and company don't try to literally tell the story, but the leader's playing assumes a decidedly narrative quality. On the gorgeous opening track, "Wine Dark Sea," he's at his most melodic, riding over huge, generously carved, loping grooves, alternately locking in with Harland and Grenadier, but rhythmically the band keeps to a relatively conventional approach. But then things get more exciting and unpredictable with "Wayfinder," as the rhythm section plays with the time freely, and Virelles works off of Taborn's roiling improvisations with percussive prepared piano patterns, a kind of buzzing, clanging response to the main keyboard's thick resonance. The rhythmic volatility is just as exciting on a ballad like the gorgeous "Dawn (With Her Rosy Fingers)," as Grenadier holds the pulse to allow Harland to range hither and yon. On the title track Virelles provides ghostly shadows, limning Potter's lyric bass clarinet lines with distant harmonium figures for one of the album's loveliest, most haunting performances. On "Kalypso" the saxophonist cleverly subverts a character name from The Odyssey in a subtle nod to Sonny Rollins, blowing ebullient, dancing, calypsolike melodies over some of the album's most free rhythms for a delicious tension. Potter is one of those musicians whose technical ferocity sometimes overwhelms the substance of his playing, but here he's never sounded more balanced. He also sounds hungrier than ever in his eagerness to propel his art forward. Below you can check out the track "Nausikaa," with Potter playing soprano, and Virelles offering counterpoint on celesta.